It is the evening, the Being is filled with energy. He’s lighting at the night, emitting the light as a lantern for his environment. This is the moment of irradiation. The composition is frontal transmitting stability, energy-filled, it’s hand position shows it has upright positive filling. 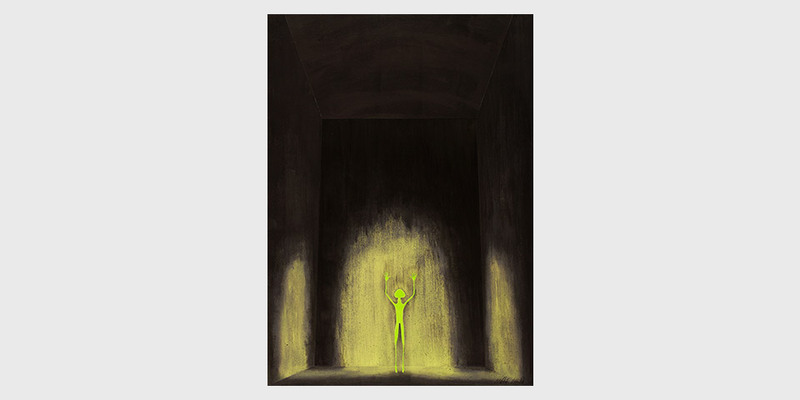 The Being is glowing in the dark, this can be associated as his aura and inside energy. 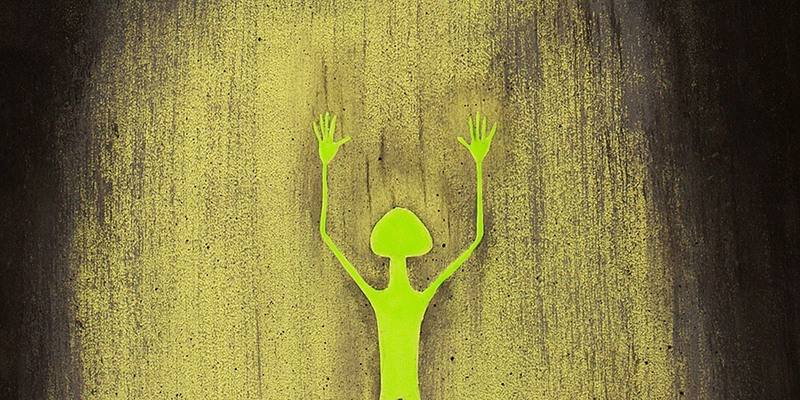 His body is covered with glow-in-the-dark painting which just intimates his existing in total darkness. The difference between the pitfall and the sky is defined with the orientation of brushstrokes only.